Hot hatches are definitely one of the greatest kinds of cars, and right now the Focus RS is the king of the hot hatch. It’s a raw and ripping driving experience that offers performance to match or beat most sports cars of just a decade or so ago. And it does it with four doors, seating for five, and a roomy hatch for all of your day’s shopping. It’s functional and visceral. I love this bright blue color in contrast to the somewhat demure chain link and office-building cityscape it’s been juxtaposed with. Great color really helps a car stand out in today’s greyscale hellscape, and this Focus has it in spades. Fire up the Ecoboost, spool up the turbo, and let it rip! 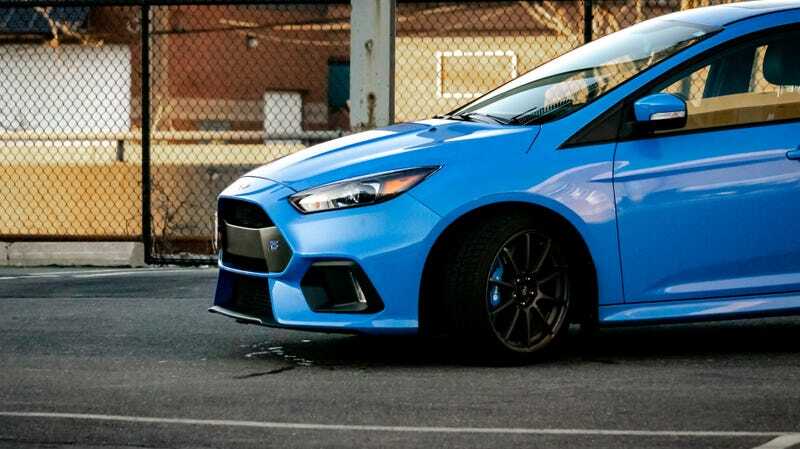 These photos were taken by Graham Boylan, who also owns this nice 2016 Ford Focus RS. Is it nice enough to be your wallpaper this week? You decide! You can check out more of Graham’s photo work on Instagram: @graham.boylan.